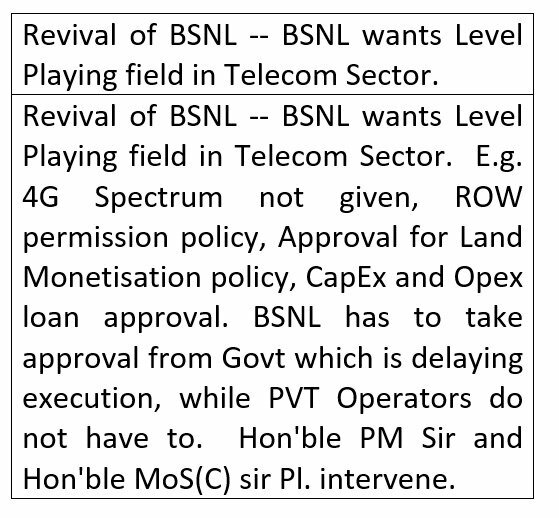 DoT to seek EC nod to take VRS, 4G spectrum proposals of BSNL to the Cabinet. 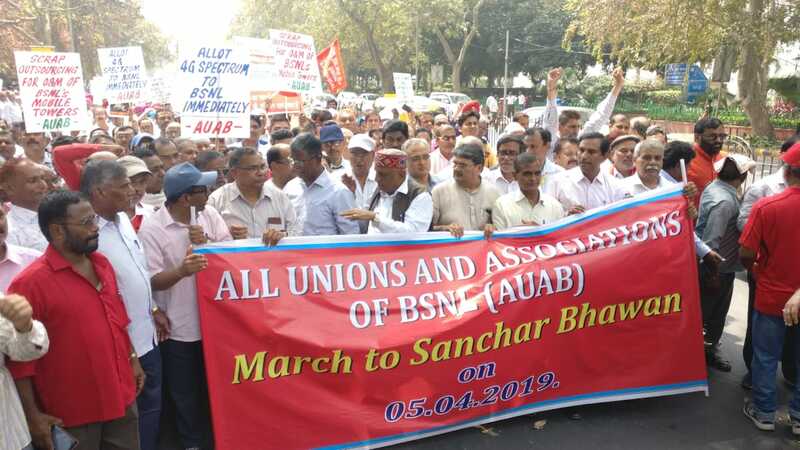 BSNL Approves Firing Of 54,451 Employees To Cut Losses; Retirement Age Reduced To 58 Years. 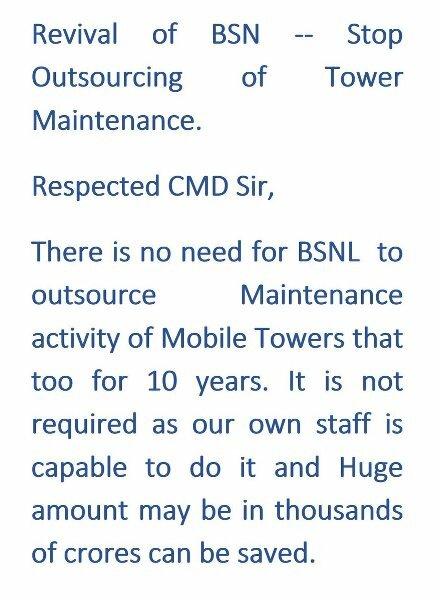 DoT to seek EC nod on VRS package for BSNL employees. 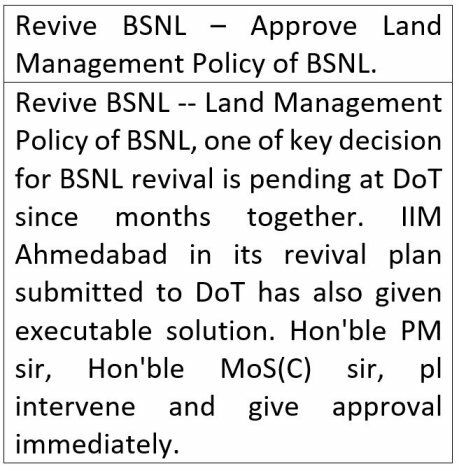 PMO, DoT discuss financial package for BSNL, MTNL. COAI seeks implementation of new telecom policy from the next govt. COAI seeks clear road map for resolution of issues plaguing telecom sector. New govt should help revive industry: Telecom body. 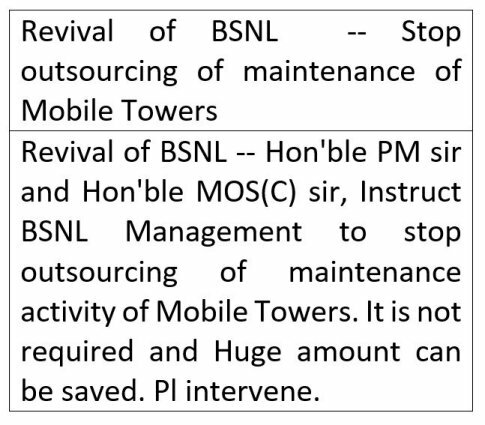 BSNL, MTNL woes: PMO convenes meeting on April 2. Tenure transfer Order of SDEs (Telecom) ...View Order copy. CHQ extends best wishes for all comrades who retire today on superannuation, for a happy and peaceful retired life. Comrade you are starting a new journey and exceptional chapter of your life. 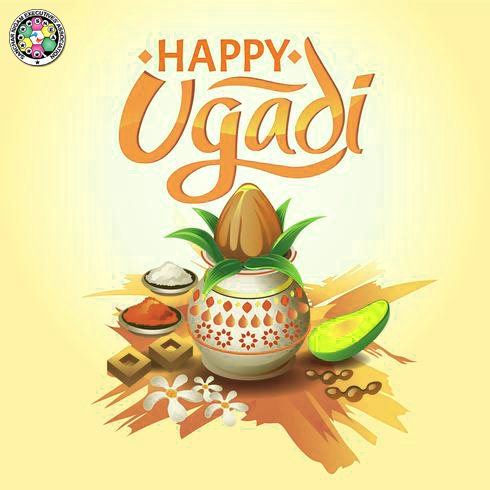 May your days be filled with elation and triumph. We thank you for your dedication & congratulate you on your retirement.